The TV show The Hook & The Cook brings together two of Australia's most popular activities – fishing and cooking. The Series is presented by Scotty Lyons (The Hook) and Paul Breheny (The Cook), who travel to a new destination each episode to show you how to catch a specific fish species and then how to prepare and cook a mouth watering dish from locally sourced seafood. While at location, Scotty and Paul will explore what else is on offer at the destination they have visited. The idea of the Hook and The Cook came about after a chance meeting by Paul when he was out on one of Scotty's Fishing Charters on Botany Bay in Sydney. Scotty runs a Fishing/Charter operation called Southern Sydney Fishing Tours. Click here for more details. After Paul had finished fishing with Scotty, he brought a copy of a DVD called "The Day on the Bay" and was horrified to see Scotty give a cooking lesson on how to cook a tailor in foil with sweet chilli sauce. Scott's cooking session went like so, "You just cut slices in each side of the fish, fill with sweet chilli sauce, wrap up foil, throw on BBQ, when cook you eat it'. Scotty Lyons with a great kingfish caught while trolling a lure. It was from that chance meeting and quite a number of other meetings they decided to get together and put together six (6) episodes and for SBS. That was about four years ago. From its humble beginnings on SBS, it has since moved to 7TWO, where it is currently showing series 1 of 13 episodes. The show has also been shown as far as Canada, the Caribbean and the USA on World Fishing Network (WFN) as well as Choice TV Free view 12/Sky 026. I have known Scotty Lyons for around fifteen years and he would have to be one of Sydney's most respected Fishing Charter/Tour operators. Scotty puts so much effort into a day on the water that he is physically drained in the afternoon, but always gets up the next morning with a smile on his face to do it all over again the next day. Believe me when I say, this guy can fish. His expertise was developed from an early age when both his father Bill and grandfather Roy passed on their extensive knowledge to him. After leaving school Scotty completed his carpentry apprenticeship and gained his Builder's License but fishing remained a strong passion. He joined the Caringbah Anglers Club and successfully honed his skills across club and state-level events. In 1994, he hit the road to full-fill a life-long ambition of travelling around Australia on a fishing odyssey. As stated earlier Scotty currently operates Southern Sydney Fishing Tours based in Botany Bay, Port Hacking and offshore Sydney, providing guided fishing trips around our southern estuaries and deep sea. 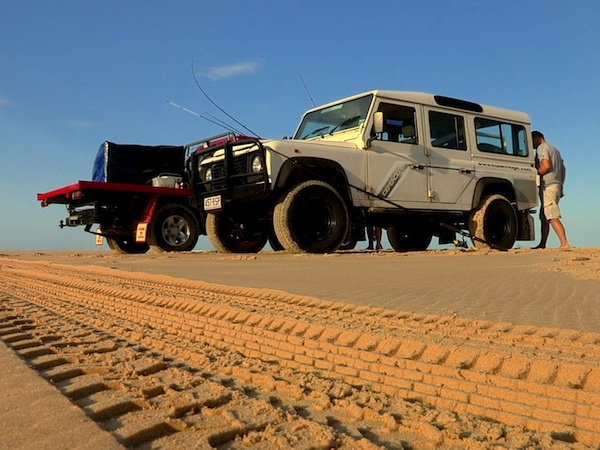 He also conducts a highly regarded on the water fishing school and leads extended fishing trips to Weipa and beyond. Now as for Paul Breheny I have only know Paul for about two years after going to his restaurant "Fratelli Del Mare" at Cronulla in the Sutherland Shire for my birthday wife Leanne, Chris and Alissa. I can still remember I had whole baked snapper for my main meal. Paul Breheny the Cook part owner of Fratelli Del Mare at Cronulla. Paul started cooking at his parents' pub "The Lamb Inn" in Chinley, Derbyshire UK and at the age of eight began making pies for pocket money. 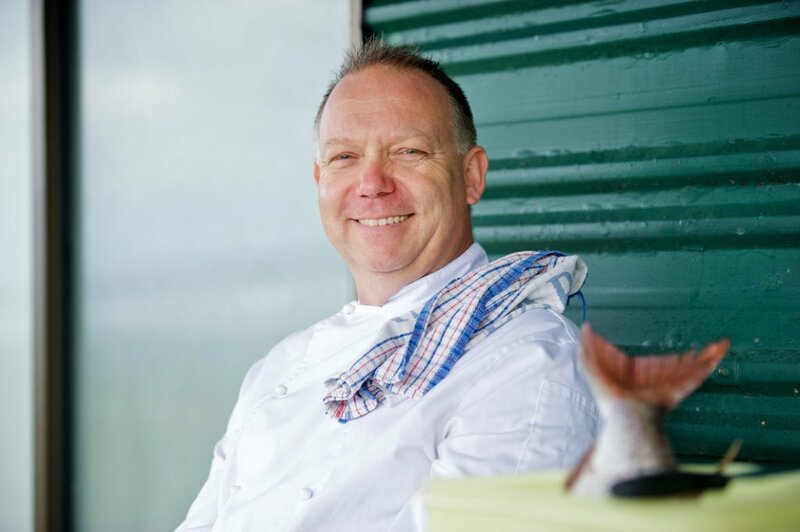 He went on and trained at High Peak College in Buxton to become a head chef at locations around London where he met his Australian wife Danielle and later moved to Cronulla in 1990. 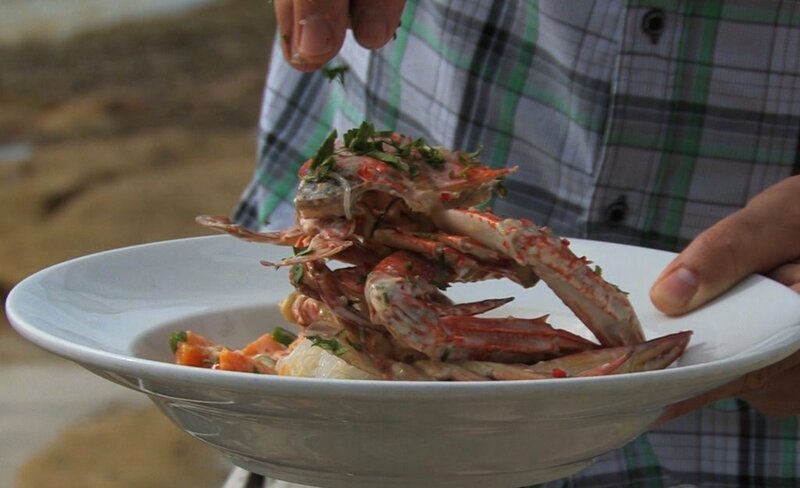 Being so close to the ocean, Paul's passion for great seafood was born. Paul's experience in the hospitality industry is wide and diverse. 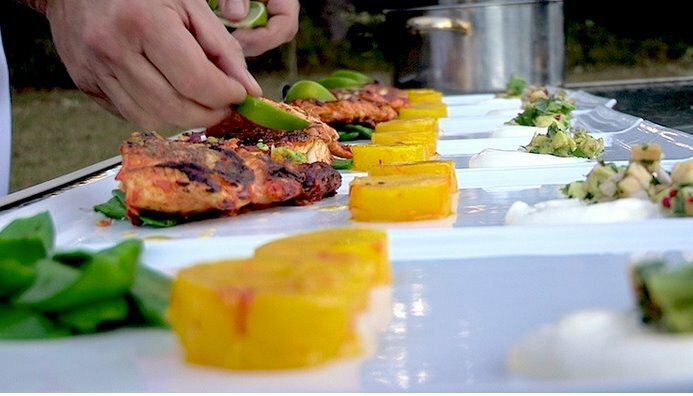 He has cooked for 2,000 people for the Fairfax Group, at private functions for high flying executives and senior politicians and has operated a successful film catering business. He is passionate about fresh ingredients and believes Australia is second to none when it comes to great produce. Paul currently co-owns, with his brother-in-law Paul a multi-award winning restaurant Fratelli Del Mare at Cronulla Beach in Sydney. He also teaches a course in commercial cooking in Private College and TAFE. Paul Breheny doing what he does best. That is cook up a storm. Paul reckons Scotty's Golden Perch was great. Now Paul can't wait to show you how to cook it. Now where are those fish on Frazer Island? • How to make oysters with a Bloody Mary dressing. 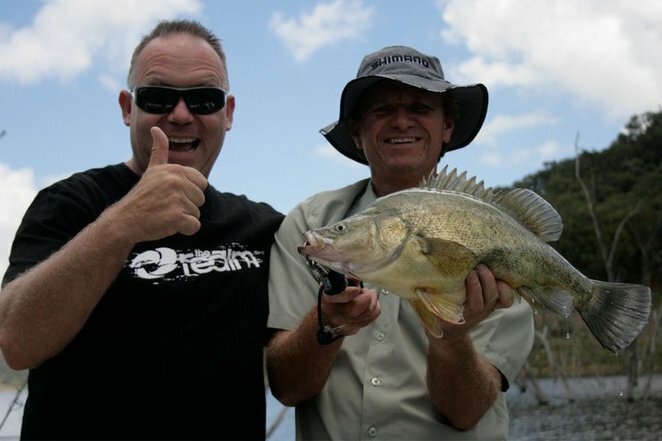 So if you are ever in the neighbourhood of the Sutherland Shire and you are looking for a great day on the water chasing bream, flathead, silver trevally, bonito, snapper, morwong, yellow-tailed kingfish and much more check out Scotty's web page www.fishingsydney.com.au and book a day on the water with him. 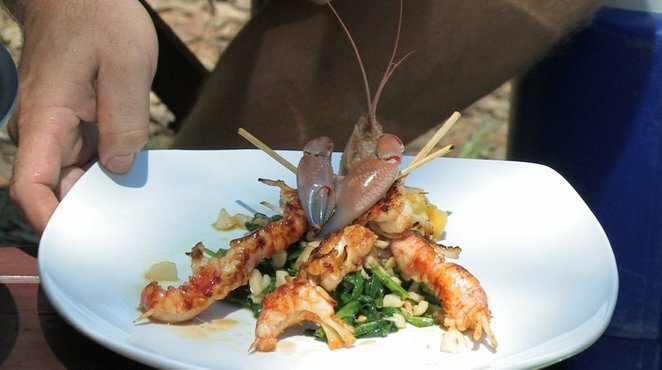 If you after looking for somewhere to enjoy some Italian/Seafood, either give Paul a ring or visit the website of www.fratellidelmare.com.au. I am sure you won't be disappointed. 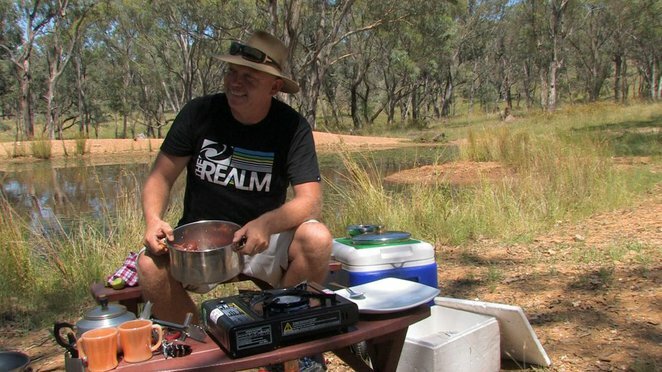 Or maybe, if you have missed their show "The Hook and The Cook" you would like to catch both Scotty and Paul on 7TWO. Don't miss The Hook and The Cook on 7TWO.